Shown in clay, this is the latest addition to my “Animal Wrapper” series. It is a small affordable bronze measuring 4.5″H x 3.2″L x 3.8″ deep and will be a limited edition of 50. If you are in or near the Tulsa area March 1-3, it is a show well worth seeing! 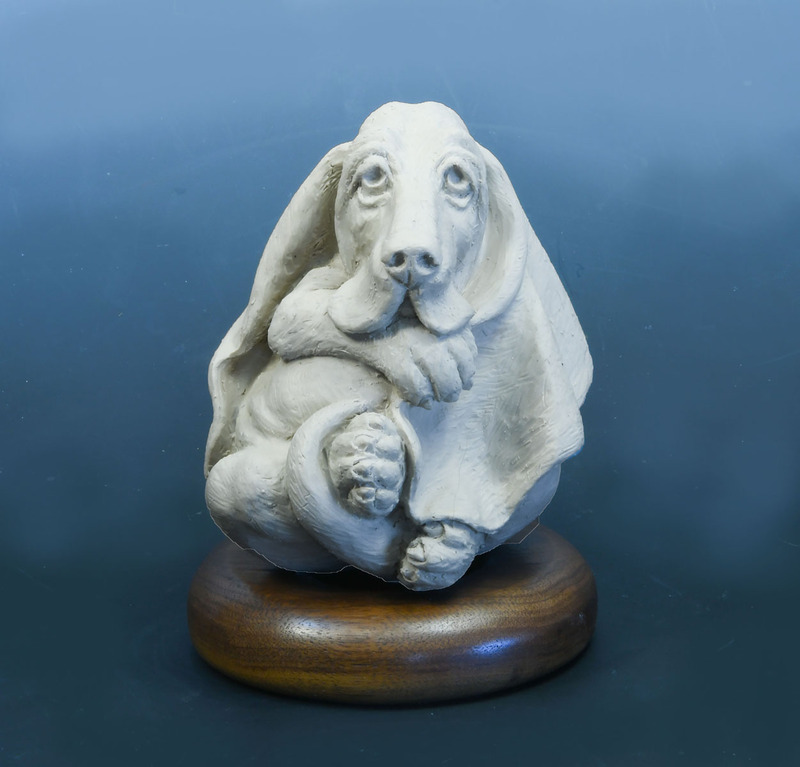 The title was easy for this humorous pup: “Hunkered Hound”.